– This first dedicated study of the 20th century at Hospitalfield fills in a missing piece in the history of Scottish art. 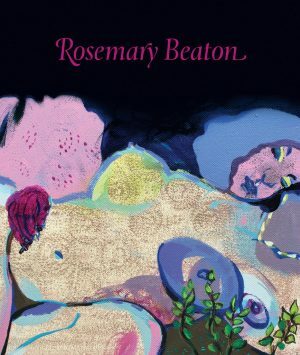 – Illustrating work from private and public collections, it shares new perspectives about and connections between the work of well-known Scottish artists and introduces significant works by their contemporaries. – Draws from unpublished archival material. – Features excerpts of newly recorded oral history interviews with contemporary artists for whom Hospitalfield provided a significant experience. Each summer, for over half a century, the Scottish art schools sent their most promising painters to Hospitalfield in Arbroath. Living in the turreted sandstone manor house that was the ancestral home of the Fraser family, this community of young artists studied, exchanged ideas, and found inspiration in the surrounding landscape. This unique experience in art education grew from the visionary bequest of the artist and patron Patrick Allan-Fraser, who dedicated his fortune to founding an art college at Hospitalfield. Students of Hospitalfield: Education and Inspiration in 20th-Century Scottish Artprovides the first dedicated study of the fascinating transformation of a private home into an art college into an essential facet of Scottish art education that proved a highly significant force in Scottish art. Featuring unpublished archival material alongside paintings, drawings and prints from public and private collections, this well-illustrated book reveals new connections between and insight into the work of well-known Scottish artists such as James Cowie, Joan Eardley, Ian McKenzie Smith and Gwen Hardie while also introducing the innovative work of their contemporaries. Excerpts from newly recorded oral history interviews give voice to the personal meaning of the Hospitalfield experience to countless artists’ lives and careers. Discover this extraordinary facet of the history of Scottish art in a thoroughly researched and clearly written text that is perfect for those with an interest in art and is an essential reference for scholars, artists, and curators. Following a BA in Art History at Hartwick College, USA, Peggy Beardmore completed an M.Litt in Museum and Gallery Studies at the University of St Andrews. Remaining in Scotland, she afterwards worked with a variety of arts and heritage organisations. Beardmore was awarded her PhD in History of Art by University of Aberdeen in 2017. It was this research into the significance of Hospitalfield in the development of Scottish art, funded by the Hospitalfield Alumni Association, that formed the basis for Students of Hospitalfield. Beardmore remains an active researcher of modern British Art.